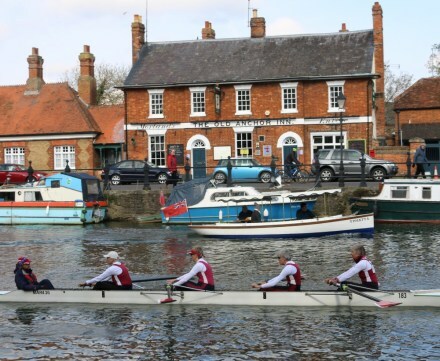 The Abingdon Head of the River Rowing event saw nearly 400 boats rowing from Culham Reach, 1850m upstream on the River Thames, to the finish line across from Wilsham Road. Head racing takes the form of time trials. Crews set off one at a time and are timed from start to finish. The boats started off in groups of nearly 100 in four divisions. The first boat from the first division to come in was competing in the Op 8+ event and came in with a time of 7:03, the fastest time all day. Op 8+ means Open 8 rowers + cox (I think). 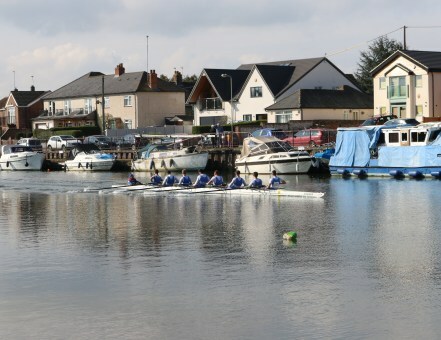 The team was from B T C (Southampton) Rowing. 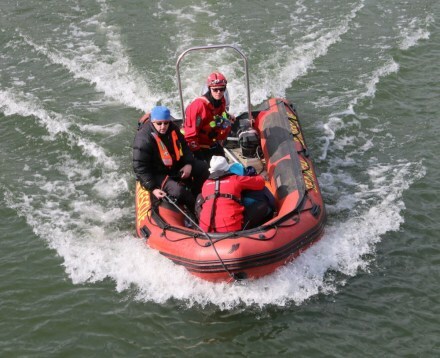 The Oxfordshire Lowland Search and Rescue were to be seen along the course to help and keep rowers safe throughout the day. passing town landmarks like the Old Anchor Inn. 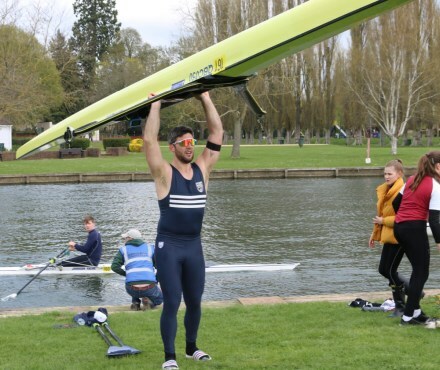 This is crew 143 from Wallingford Rowing Club in event Op J16 2x, which probably means Open Junior up to age 16 with 2 crew. There is a lot involved in getting the boats from the River back to their trailers without bumping into anybody. 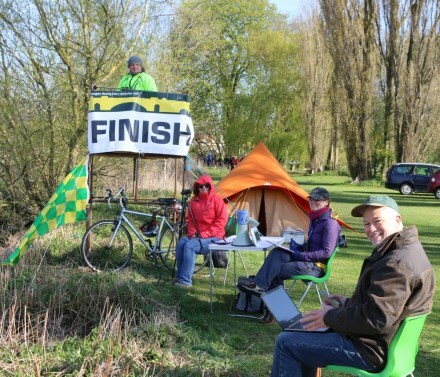 Stewards guide this as well as the rowing. 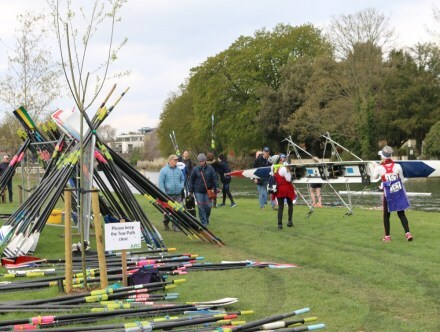 All the oars seem to be kept like a big wigwam near the landing stages. 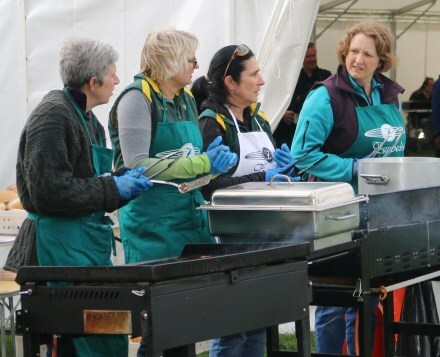 Competitors and spectators could then enjoy a BBQ, local beer, tea, cakes and Morris Dancers. There was also the WWII event from yesterday’s post nearby. 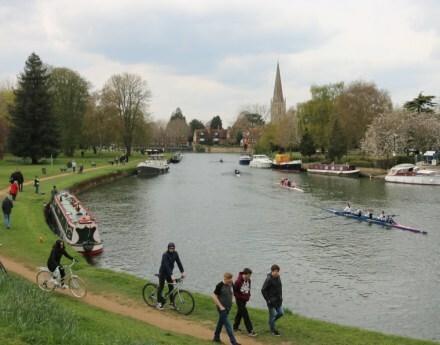 The event was organised by Abingdon Rowing Club. 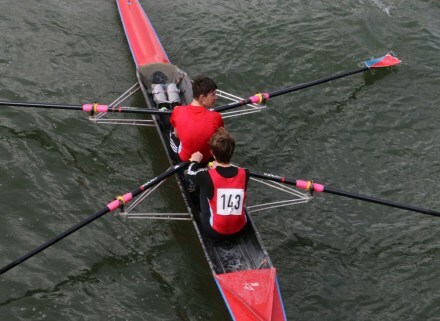 The + sign indicates a coxed boat; a x sign means sculls (two oars per rower) as opposed to sweep (single oar per rower): 2x = double sculls; 4x = quadruple sculls(quads). A tough sport in either form.